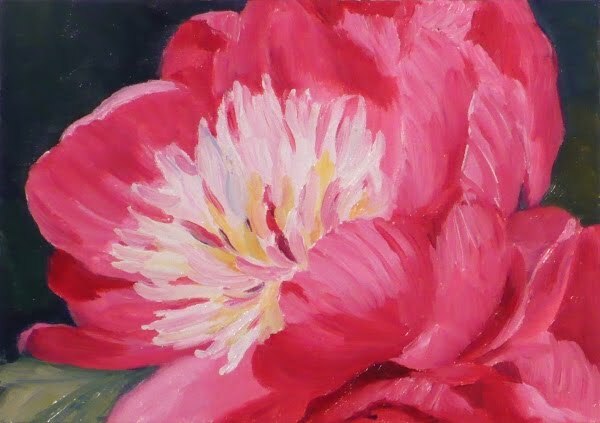 Peonies are a favorite flower of mine because my Polish grandmother used to grow them in her city garden. I believe she had the loveliest flower gardens on the block, tiny yard and all, and these flowers figured prominently along with all types of roses. This one is especially pretty with its pom-pom-like white center.